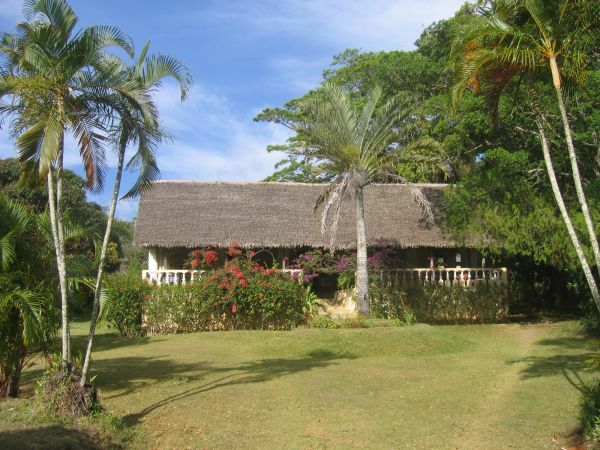 The old botanical garden of Reserve de Nahampoana can be found seven kilometres east of Fort Dauphin. This well-maintained garden, formerly named Garden of Acclimatisation, covers an area of 50 hectares. Good hiking trails wind through the vegetation typical of the east and south of Madagascar. Amongst the many exotic plants which can be found in the park are the Ravenala Palm, Pachypodium, Madagascar Pitcher Plant, Oil Palm, Canela Cinnamon, Lemon Eucalyptus, young Baobab Trees and the conifer Arokaria, as well as the Triangle Palm Tree which exists in Madagascar only around the area of Fort Dauphin. Every lemur species native to the south of Madagascar lives in this park. 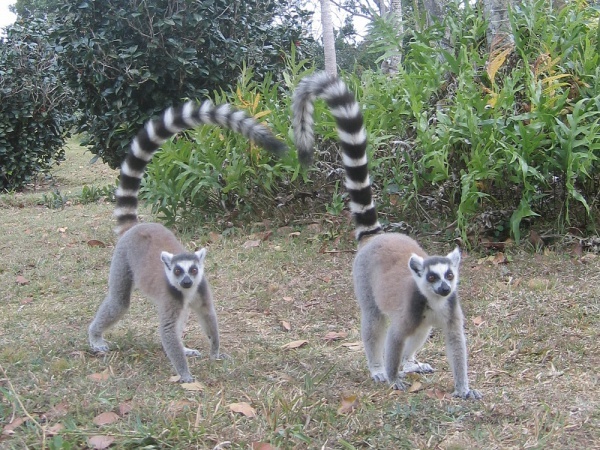 During the early morning hours various groups of lemurs, such as Verreaux's Sifaka, Ring-tailed Lemur or Brown Lemur, usually play in the trees and on the ground near the old colonial style building. Other animals in the park include chameleons, tortoises, crocodiles and a wide variety of birds.